Alison and I had a pretty good day today. It was pretty rainy here in Lincoln, but that didn't stop us from having a good day. It wasn't too eventful, but it's Sunday, so that's okay. We all watched Nacho Libre together (one of our favorites) and had some good laughs. And we continued working on her vocalizing. Tomorrow morning should be interesting. 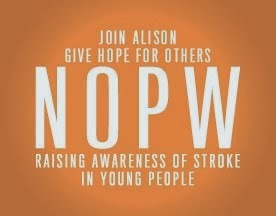 We're meeting with the research scientist/doctor who specializes in assistive technologies for communication in the morning to see if she has any creative ideas that might help Alison. I told Alison I'd be back to see her bright and early - so to get some rest tonight. And I'm going to do the same. I'll head back to KC right after our morning meeting. Thanks for all of your continued prayers and support.